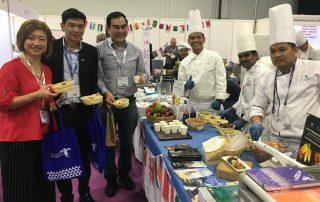 Singapore, Aerofood ACS – Aerofood ACS participated in the Food Street Festival – FTE Asia Expo which is held in Singapore on November 13-14, 2018. 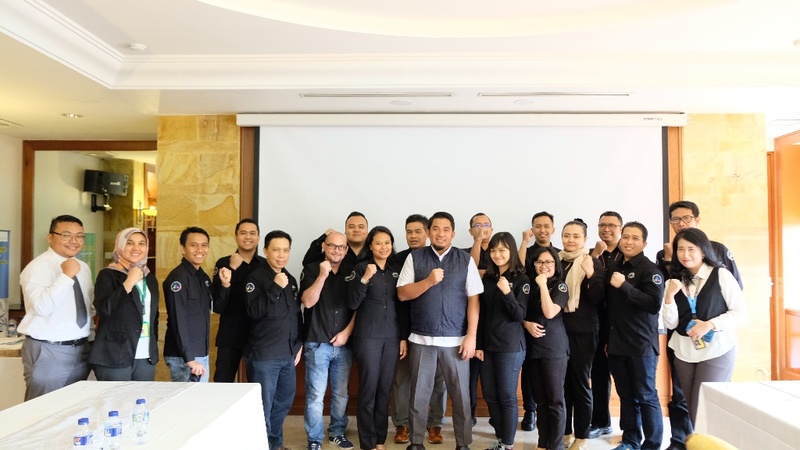 This annual event held by Future Travel Experience (FTE) collaborates with magazine onboard Hospitality, Asia Pacific Onboard Travel (APOT), and also the International Flight Service Association (IFSA). 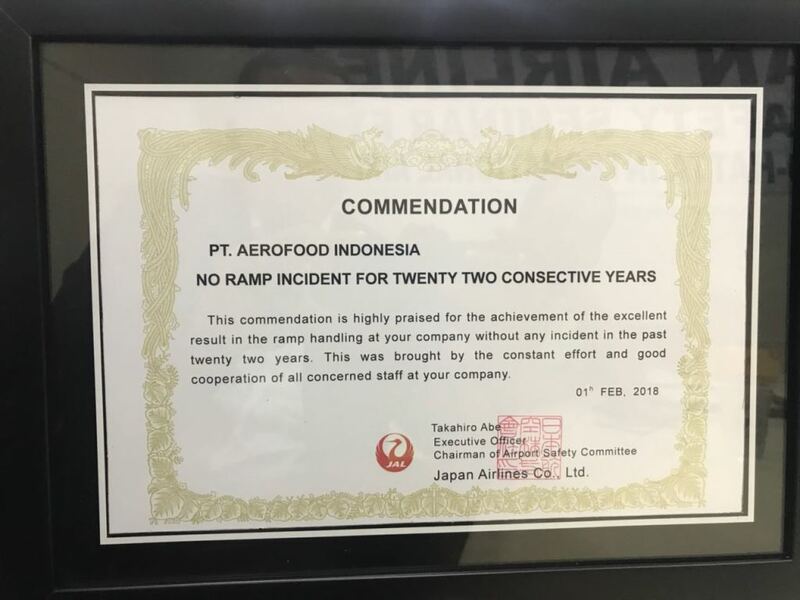 Not only in-flight catering, at this festival there were also nearly 40 IFSA member airlines based in Asia. 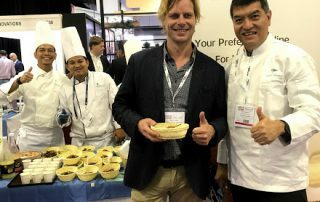 The Food Street Festival was held with the aim of bringing and introducing tourist destinations in the Asian region at the first ever Onboard Hospitality forum – Asia. 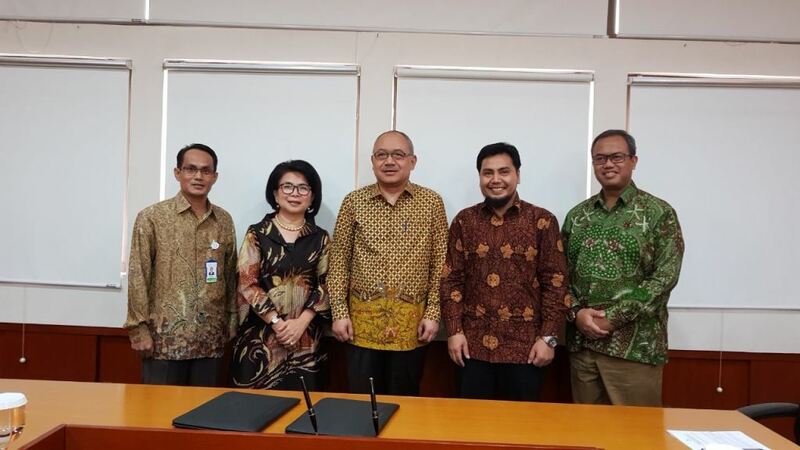 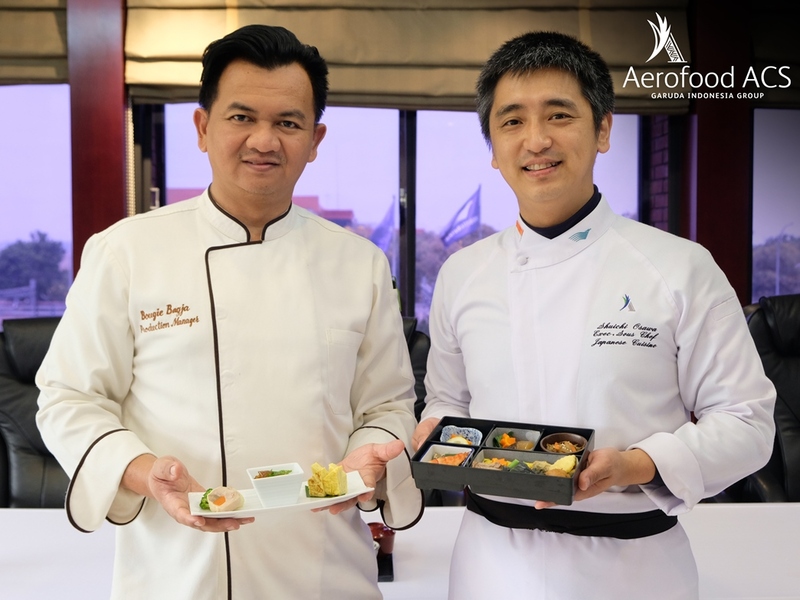 Aerofood ACS together with Garuda Indonesia and Ministry of Tourism, Republic of Indonesia participated in this activity promoting the beauty of Indonesian cuisine in the international level. 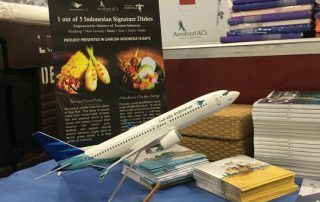 At the Food Street Festival, Aerofood ACS displays two Indonesian signature dishes, Sate Lilit Bali and Madura Chicken Satay which is categorized as 5 Indonesian Signature Dishes. 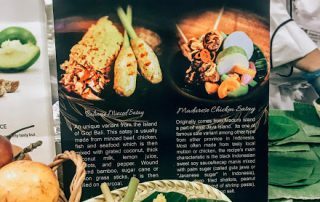 The other 4 Indonesian Signature Dishes are Rendang, Nasi Goreng, Gado-gado, and Soto. 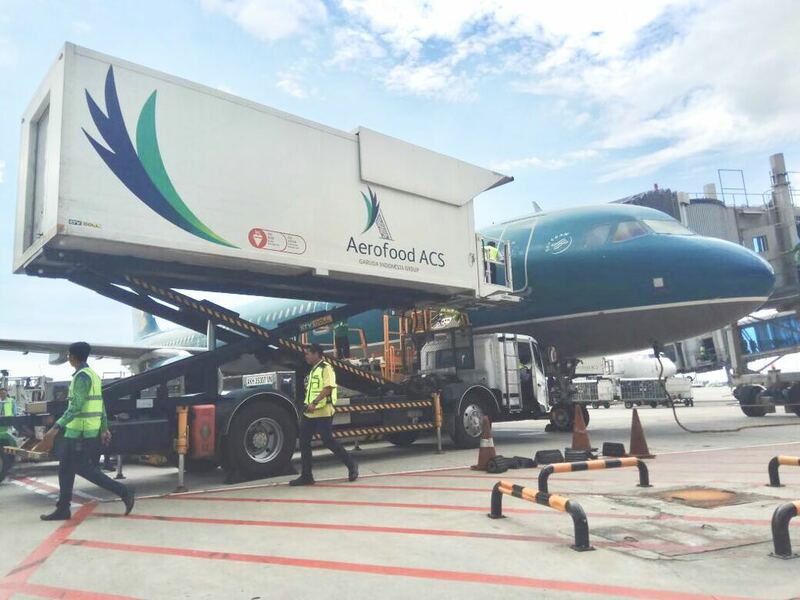 Besides of foods, Aerofood ACS also introduces Indonesian signature drinks, Martebe and Kedondong Juice. 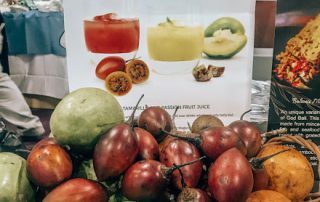 To add to the fun of the event, the committee also held a Food Street Competition. 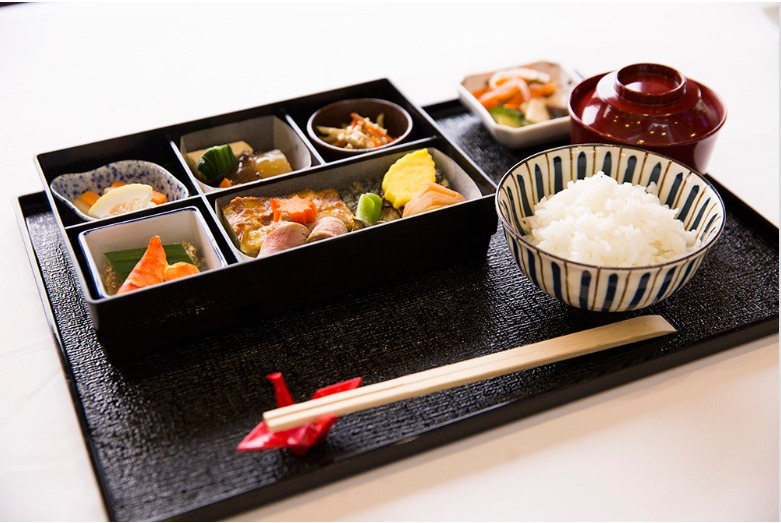 Visitors to the Street Festival will, each lunch time (12-3 pm) be invited to vote for their favourite destination stall and recognition will be given to the dishes voted favourite by delegates. 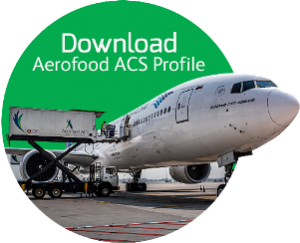 After calculating the results of the voting from the visitors, Aerofood ACS was chosen as “Favorite Destination Stall of the Day”. 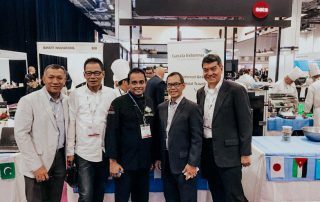 Aerofood ACS is proud to be a representative of Indonesia for introducing Indonesian signature dishes and Indonesia’s tourist destinations at Street Food Festiva – FTE Asia Expo 2018. 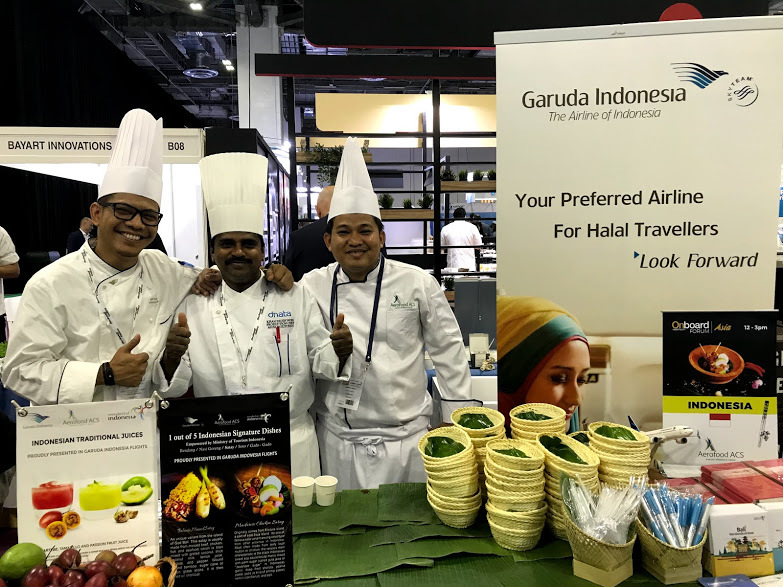 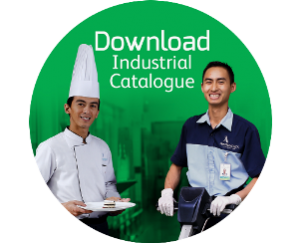 As additional information, the 5 Indonesian signature dishes, especially Satay that has been displayed at Street Food Festival, are already available in the menu on Garuda Indonesia flights.